Our practice has been caring for the families of Grande Prairie and its surrounding communities for more than 15 years. In that time Higson Dental Group has established a solid network of dental specialists whom we trust and refer our patients to when a treatment is beyond the scope of our practice. Our referral network includes some of Northern Alberta’s premier dental specialists, who we feel grateful to work with knowing you will be in good hands. Oral and maxillofacial surgeons are dentists who specialize in a wide range of surgeries on the bone and soft tissues of the mouth, face, jaws and neck. These accredited dentists have received an additional four to seven years of hospital-based surgical and medical training. For our clients with this need we proudly co-ordinate complex surgical treatments with Kingsway Oral Surgery. They are located in the Edmonton area and also have a satellite practice in Grande Prairie. Periodontists are dentists who specialize in the diagnosis and treatment of periodontal (gum) disease. After four years of dental school, these specialists complete another two years of extensive training to master the specific needs of gum care. When Would You be Referred to a Periodontist? Some patients may require special care to their gums. Our team at Higson Dental Group works closely with the periodontist to evaluate your case and determine the best possible treatment for your condition. When we refer to a specialist, we are investing thoughtful attention to your dental health and wellbeing. We treat many patients with advanced periodontal disease. 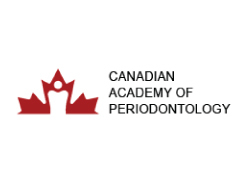 If we are unable to help by non-surgical means, we turn to Dr. Jim MacDonald of Edmonton, the past-president of the Canadian Academy of Periodontology. An Endodontist specializes in the diagnoses and treatments of dental diseases and destructive processes of the dental pulp. Their focus is to maintain a tooth after injuries or abnormalities of the soft inner tissue of the teeth, called pulp. These dental specialists will examine patients and evaluate radiographs and pulp tests to better understand the remaining life of the pulp and as well as the condition of the periapical tissue. From there they provide effective treatment to prevent the loss of a tooth. Many endodontic procedures can be completed right here at Higson Dental Group. That said, there are cases that need more advanced, special attention to ensure the best dental care, and we are very comfortable referring our patients to Dr. Carol Layton in downtown Edmonton. These specialists treat patients who have debilitating issues due to extensive tooth loss or problems with their supporting structure. Prosthodontists evaluate and execute the patients’ needs for corrective prostheses to restore the function and esthetics of the mouth, face, and jaw—in often cases it means a full mouth reconstruction. This extensive work goes beyond the training and focus of our general dental practice. These very special conditions will benefit greatly by the referral to Dr. Keith Compton in Edmonton. Dr. Compton was raised in Grande Prairie, and practiced general dentistry here before continuing his dental education to become a prosthodontist. Pediatric dentists undergo two additional years of dental school to learn the care and treatment of a child’s developing teeth, child behavior and how to manage the special needs of a young child. While general practices are trained and equipped in children’s dentistry, a pediatric dentist, their staff and the office décor is all geared toward children. For kids with special needs, or if there is an intense fear of the dentist, a pediatric dentist should be considered. We and many other local dentists refer to Dr. James Lipon in Grande Prairie. He is a board-certified pediatric specialist. He has the option to use nitrous oxide or general anesthesia and is fully equipped with the appropriate systems to monitor patients under sedation. For specific and delicate situations, we will refer work to Dr. Lipon because of his high level of patient care and convenience to the patient. Orthodontists help to straighten teeth or align the jaw by means of braces, retainers or other dental devices. They are trained to foresee future issues or correct current problems in the mouth, teeth and jaw. While Higson Dental Group does provide dental treatment through the use of Invisalign clear aligners, we still refer cases that are complex or will respond more favorably to conventional bracket and wire therapy. It’s very common for children, teens and adults to see an orthodontist for specialized attention on corrective options. Some common concerns include crowded or overlapping teeth, issues with jaw growth and tooth development associated with losing baby teeth too soon, injuries that affect the teeth or damaging habits like thumb sucking. All are common and can affect people at various ages. Patients are often referred to an orthodontist because you or your dentist noticed a problem with your or your child’s teeth and jaws. There are many excellent orthodontist practices in Grande Prairie that we refer to on a regular basis.